That’s how slim the victory was for the Rowan men’s track and field team a season ago in taking their first-ever New Jersey Athletic Conference Indoor Track and Field Championship. Things were not exactly set up the same for the brown and gold in 2015-16. The biggest difference in the team from last year: the guys knew what it took to win it all, having just done so last year. The team came in expecting another title, hopefully in a bit more of a dominant manner this time around, too. That is exactly how it would go on Monday, Feb. 22 at the Ocean Breeze Track and Field Athletic Complex at Staten Island. Holding off second-place The College of New Jersey by 67.5 team points, Rowan (197.5) would notch back-to-back NJAC indoor championships. Head coach Dustin Dimit was not too surprised by the result. Despite leaving 18 points on the table from the two relay disqualifications, the Profs still held a double-digit advantage in team scoring for the majority of the meet. 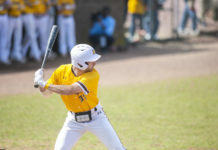 Rowan had four first-place finishes, but it was the secondary scoring — points earned anywhere from second to eighth — that led the team to cruise to the repeat. 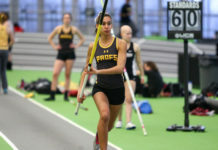 The Profs took fourth through sixth place in the one mile, first through third and fifth in the high jump, fourth through sixth and eighth in the triple jump, as well as second and fifth to sixth in the shot put. Atop the many notable times and marks, sophomores Jeffrey Tucker and David Benjamin both made meet history. Benjamin had a record time of 8.17 seconds in the 60 meter hurdles prelims; in the high jump, Tucker hit a meet-best 2.11 meters. 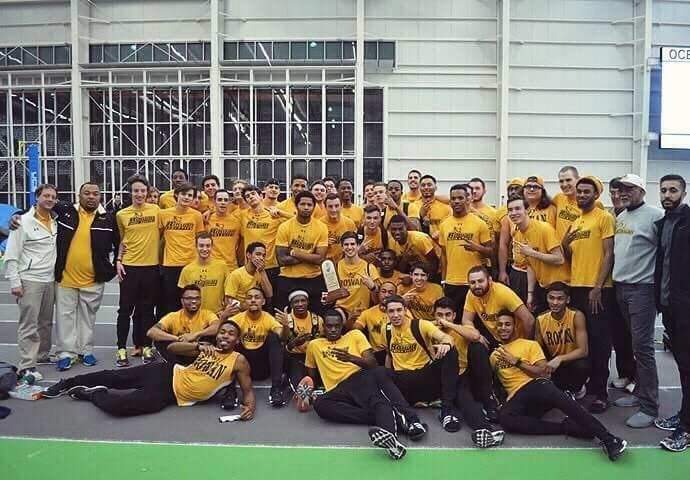 The program’s second-only championship in history was a proper sendoff for the few departing athletes from the team, including Pat McCurry, who is in his final indoor season.